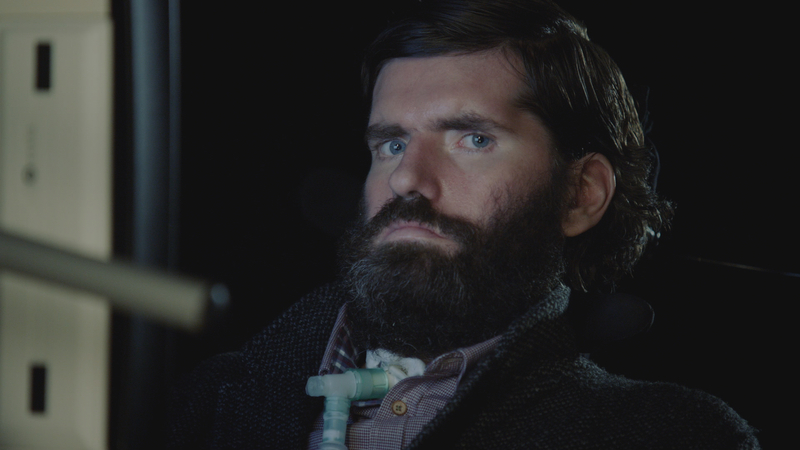 It’s Not Yet Dark is a feature length documentary telling the story of Simon Fitzmaurice, a talented Irish filmmaker who is living with motor neurone disease. He was diagnosed at the age of 34, after his short film premiered at the Sundance Film Festival. His wife was expecting their third child and they were left shocked and reeling. Simon refused to give up and started to work on the script for a feature film – My Name is Emily. Now, five years later, the father of five children, he is completely physically incapacitated. Narrated by Colin Farrell, and using extracts from Simon’s best selling memoir, we follow Simon as he embarks on the direction of his first feature film through the use of the last physical attribute he has control over – his eyes.